A creative art workshop enhancing our awareness of wellness! Where: Studio- 498 Court St. In this 3hr. creative arts workshop you will explore meditation/vocal chakra toning, spontaneous dance/movement to enhance emotional, cognitive and physical integration for deep relaxation. Through this process of becoming grounded and centered in our mind, body and spirit we will engage in a spontaneous visual art exercise tapping into our intuitive imagination. Experiencing these artful modalities, we give ourselves a gift to embrace the sacred creative energy within and weaving this essence in the wondrous tapestry we call life! *awaken & expand your innate creativity~we all are creative! Look forward to you participating in this upcoming workshop, feel free to pass on to friends and family!!! No Artistic Experience Necessary just a Curious Open Heart!! Contact Art Facilitator Darlene @: dwolfe3@yahoo.com for Signing up for workshop today~catch that EARLY BIRD SPECIAL~GIVE AS A GIFT CERTIFICATE!!! In this multi-dimensional fun workshop, were we give our selves a gift to embrace our creative self-expression to heighten the core awareness of connecting with the natural internal rhythms for health and well-being! Darlene Wolfe has been enjoying for over 16yrs engaging with children and adults teaching art classes and staff development workshops. Volunteered time assisting children with autism at Mercy Homes Creative Art/Music Therapy Program. 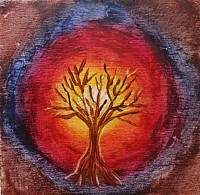 She has completed her Certificate of Creative Art Therapy through the New School for Social Research. Simultaneously, while exploring her spirituality she realized the interconnectedness of the creative arts and spirituality as a way of living life. She is always inspired to share her insights with her community through her workshops, classes, retreats and seminars. She also enjoys sharing her talent as an intuitive tarot reader. 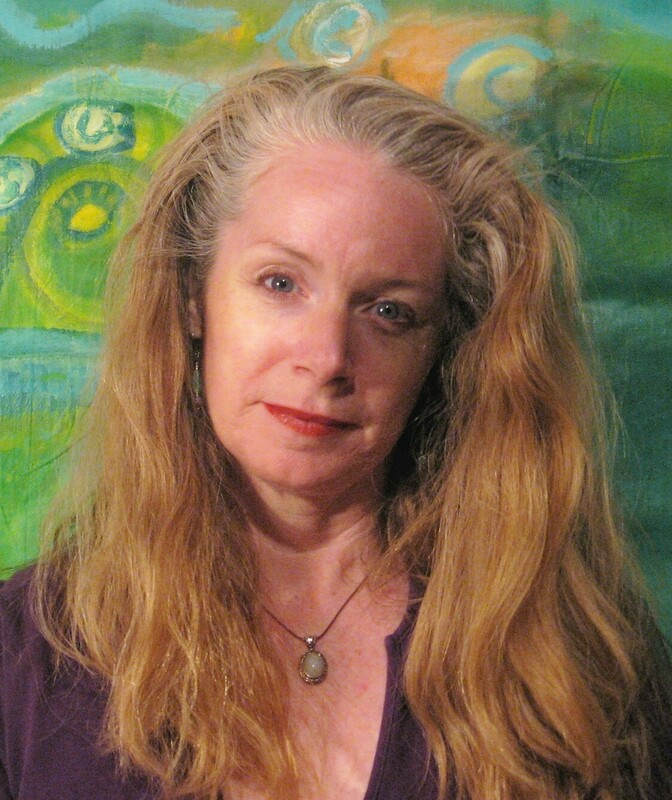 Darlene has shown her art nationally, internationally and lives in Brooklyn, NY. Cost: Early Bird Special-$50 by June 5th. You are invited to invest in some nurturing time for yourself as we move towards this spring season. Please join me and others in this workshop to delve into the qualities of simply nurturing ourselves through meditation/vocal toning to free form dance/movement and spontaneous painting! In this 3 1/2hr. workshop everyone will express in their own unique way! We each will tune into our core essence to self express throughout this workshop and it is cherished and honored in a nurturing environment. Through aspects of vocal toning you are truly nurturing yourself by creating an inner vibrational massage assisting to align with all aspects of your being in harmony with your mind, body and spirit. The creative dance/movement experience gives you an opportunity to listen to your body, the music, the mood and respond in the present moment. This allows you to be in your own flow of movement without judgment or constraints. By letting go and moving freely to the vibrational sounds as we merge our body and mind to spontaneously express our unique essence to groove of the music! After we will delve into spontaneous painting that combines the sensuousness of liquid motion and color that lulls you into a mild trance. You begin to relax and melt away emotional blocks to surrendering control and allowing a more playful experience. This puts you in touch with your unique powerful imagery there by expressing your innate wisdom to unfold before you in a gentle and insightful process. Please join us in this wonderful and fun workshop were we simple nurture our selves through the essence of creative expression that is our birth right! Darlene Wolfe has been enjoying for over 15yrs engaging with children and adults teaching art classes and staff development workshops. Volunteers time assisting children with autism at Mercy Homes Creative Art/Music Therapy Program. She has completed her Certificate of Creative Art Therapy through the New School for Social Research.Simultaneously, while exploring her spirituality she realized the interconnectedness of the creative arts and spirituality as a way of living life. She is always inspired to share her insights with her community through her workshops, classes, retreats and seminars. She also enjoys sharing her talent as an intuitive tarot reader. Darlene is a visionary self taught artist that has shown nationally and internationally. Look forward to having you join in my Art & Soul Workshop on June 11th!! Creative Tapestry of Being~Fall Workshop!!! In this introductory multi-dimensional exhilarating fun workshop we engage our creative self expression enhancing our awareness of deeply connecting with the natural internal rhythms for our health and well being. This core creative essence weaves a greater connection to our spiritual presence tapping into the boundless potential for self growth, clarity and joy. We transform, nurture and awaken our soul’s authentic voice and share with others, co-creating a life of inspiration! In this creative arts workshop you will explore meditation/breathing exercises, spontaneous dance/movement to enhance emotional, cognitive and physical integration. Through this process of becoming grounded and centered in our mind, body and spirit we will create a Mandala drawing for visual exploration. Experiencing these artful modalities, we give ourselves a gift to embrace the sacred creative energy within and weaving this essence in the wondrous tapestry we call life! No artistic experience necessary…just an open heart & curiosity to explore! Darlene Wolfe has been enjoying for over 15yrs engaging with children and adults teaching art classes and staff development workshops. She just completed her Certificate of Creative Art Therapy through the New School for Social Research this semester.Simultaneously, while exploring her spirituality she realized the interconnectedness of the creative arts and spirituality as a way of living life. She is always inspired to share her insights with her community through her workshops, classes, retreats and seminars. She also enjoys sharing her talent as an intuitive tarot reader. Darlene is a visionary self taught artist that has shown nationally and internationally. In this multi-dimensional exhilarating fun workshop we engage our creative self-expression enhancing our awareness of deeply connecting with the natural internal rhythms for our health and well-being. This core creative essence weaves a greater connection to our spiritual presence tapping into the boundless potential for self growth, clarity and joy. We transform, nurture and awaken our soul’s authentic voice and share with others, co-creating a life of inspiration! In this 3hr. creative arts workshop you will explore meditation/breathing exercises, spontaneous dance/movement to enhance emotional, cognitive and physical integration. Through this process of becoming grounded and centered in our mind, body and spirit we will create a Mandala drawing for visual exploration. Experiencing these artful modalities, we give ourselves a gift to embrace the sacred creative energy within and weaving this essence in the wondrous tapestry we call life! No Artistic Experience….Just a Curious Nature to Explore!! Darlene Wolfe has been enjoying for over 15yrs engaging with children and adults teaching art classes and staff development workshops. She is completing her Certificate of Creative Art Therapy through the New School for Social Research this semester.Simultaneously, while exploring her spirituality she realized the interconnectedness of the creative arts and spirituality as a way of living life. She is always inspired to share her insights with her community through her workshops, classes, retreats and seminars. She also enjoys sharing her talent as an intuitive tarot reader. 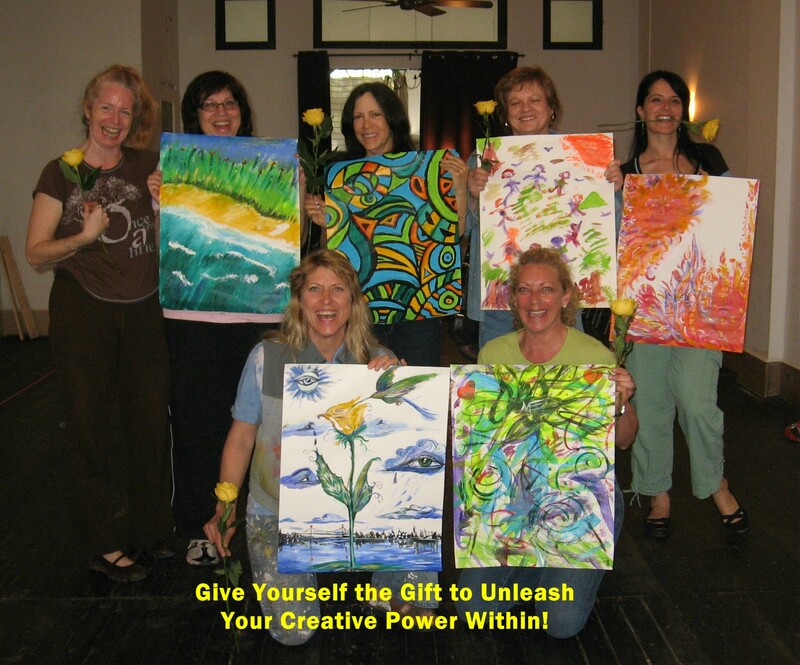 Darlene is a visionary self-taught artist that has shown nationally and internationally.